Two often confused terms in the home buying process are a mortgage loan pre-qualification and a home loan pre-approval. Even some loan officers and real estate agents will use the terms incorrectly, so here’s what you really need to know about each one. 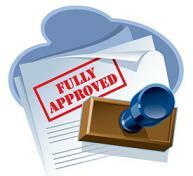 Getting pre-approved means that you have a tentative commitment from a specific lender for mortgage funding. In this case, you provide a home loan lender with actual documentation of your income, assets, and debts. This process typically requires an application fee as well, since the bank will run a credit check and work to verify all your employment and financial information. Once you are approved, the lender will give you a letter of commitment, stating how much money her bank is willing to loan you for a home purchase. With a pre-approval in hand you can start your shopping – real estate agents and sellers will take you much more seriously when they see you have your mortgage funding in place. 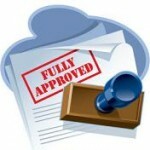 Contact Mortgage Wholesale to get your home loan pre approval started today. PrevPreviousMortgage Broker or Direct Lender?